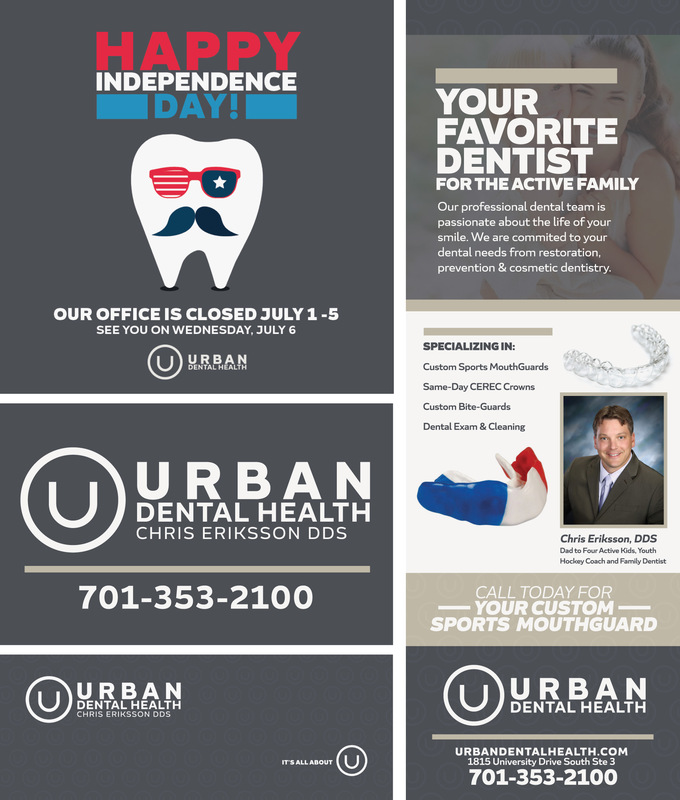 Urban Dental Health is a dental firm in Fargo with focus on educating and teaching their patients. 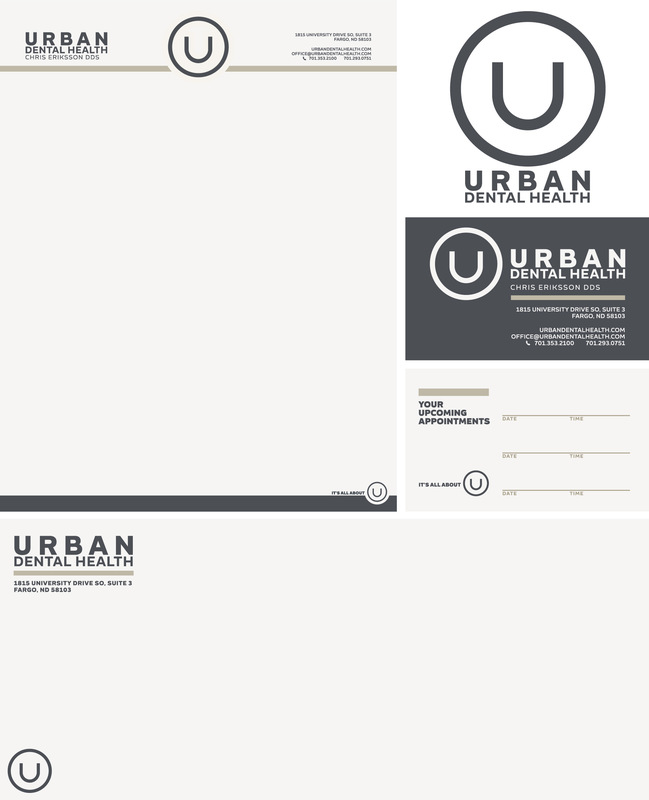 The staff live their motto of “It’s All About You.” Urban Dental came to us with a need to create a new brand from scratch. They had a name and a great vision, but didn’t know where to start on their marketing strategy. We delivered a stellar brand design with unique iconography. After setting them up with clearly defined style guides, we quickly began to execute on everything from identity materials, office signage, website design, content creation and advertising design.